Keeping our low-riding wiener dogs clean can be a tough task, especially as we enter that part of the year generally filled with rain and snow. When your legs are only a few inches from the ground, it’s a challenge to keep dry and clean. So today’s product is near and dear to my heart as a cleaned obsessed human. Like many dachshund humans we love to have our doxies with us everywhere – the couch, the bed, the car and our in laps. I’m constantly wiping Rufus and Emily down after our hikes and regularly bathing them; it’s just par for the course when living with doxies. However, I’m always mindful of the shampoo I use. I never want to irritate my dogs or damage their beautifully shiny coats. 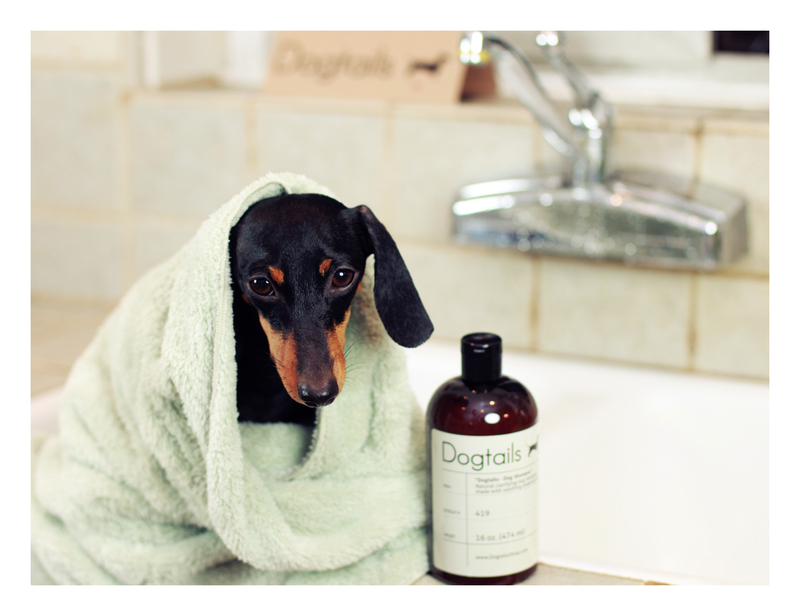 So today’s recommendation is Dogtails Dog Shampoo. 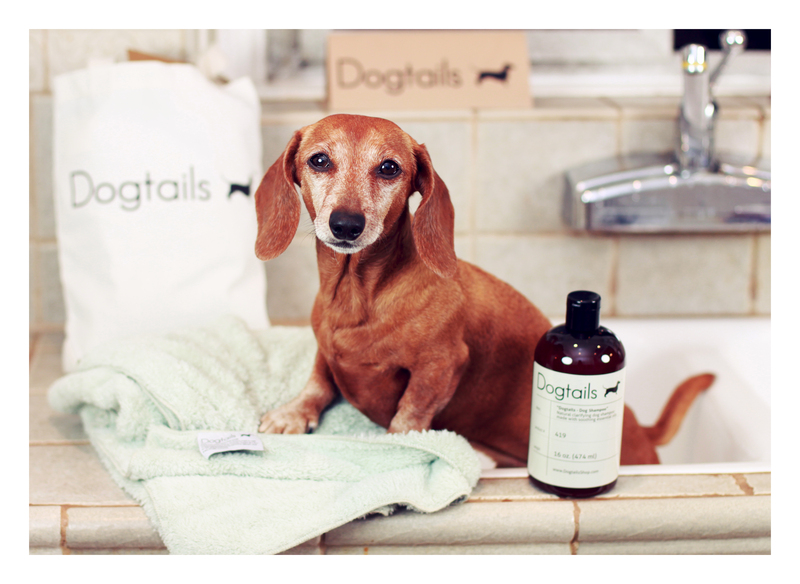 It’s a natural clarifying dog shampoo made with soothing essential oils. Best of all the folks behind the product are dachshund humans. To learn more about the product click here. This entry was posted in Emily, Rufus and tagged #black and tan dachshund, #dachshund, #product spotlight, #red dachshund, #smooth dachshund, doxies. Bookmark the permalink.